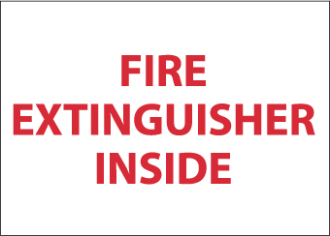 Red and white “Fire Extinguisher Inside” Sign. Made of PS vinyl. size: 3.00x5.00.